Our New Booklet in the Hands of 20,000 Architects & Engineers! Donate Now and We’ll Send You One, Too! 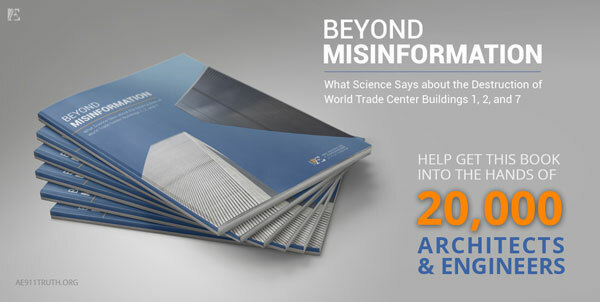 I am thrilled to inform you that this September AE911Truth will release its first ever comprehensive guide to the World Trade Center evidence — a 50-page booklet titled BEYOND MISINFORMATION: What Science Says about the Destruction of World Trade Center Buildings 1, 2, and 7. And that’s just the beginning! 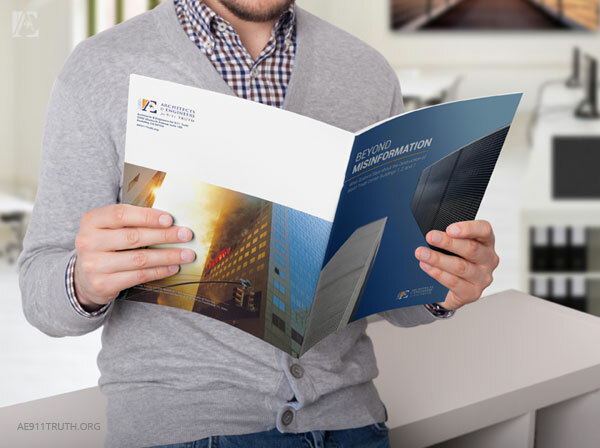 To make the most of releasing this powerful educational tool, we will mail it directly to 20,000 architects and engineers around the country — including all 250 employees, contractors, and contributors who worked on the NIST and FEMA WTC reports; the national and local leadership of several institutions, such as the American Institute of Architects (AIA) and the American Society of Civil Engineers (ASCE); and thousands of A/E professors and industry leaders. Take Action by July 15th and Receive Your Copy! This is our most important project for this year’s commemoration of 9/11, and we need your help to pull it off. Producing 20,000 high-quality copies of this booklet and mailing them to 20,000 lucky recipients will cost us $50,000. At just $2.50 apiece, it’s incredibly cost-effective — and we're confident we can raise that amount because so many of us are willing and ready to support this kind of outreach. We also want you to have a copy to show everyone you know! 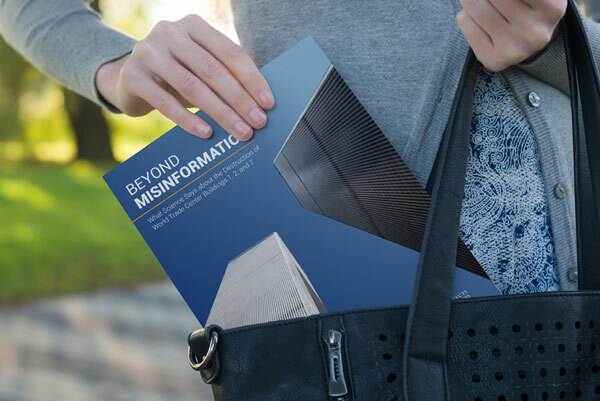 That's why, with a donation of $30 or more between now and July 15th, you will receive your own Beyond Misinformation booklet in the mail this September. Together, we will blanket the A/E community and our own communities with the evidence about what happened at the World Trade Center on 9/11. Will you be a part of our most important September 2015 project?! 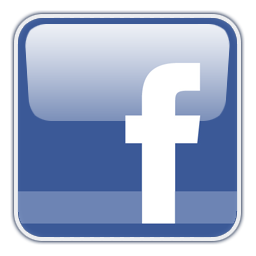 On behalf of everyone at AE911Truth, we thank you for your generous support. 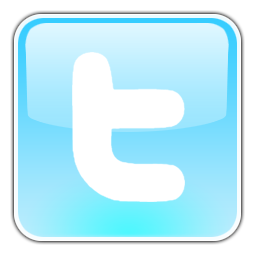 Stay tuned for updates about this and other September 2015 projects!